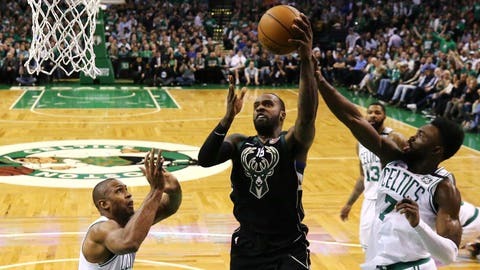 The Milwaukee Bucks waived Shabazz Muhammad on Thursday. Muhammad, 25, signed with the Bucks in March after he was waived by the Minnesota Timberwolves, averaging 8.5 points and 2.8 rebounds in 11 games for Milwaukee. He re-signed with the Bucks on Sept. 22, averaging 8.0 points and 3.5 rebounds in two preseason games. The Bucks now have 19 players on their roster. Milwaukee opens its season Wednesday at Charlotte.